On this page you'll find all the resources you need, right at your fingertips, to help raise your young children to be excited, respectful, and responsible global citizens. We believe the next generation deserves the chance to work together, across borders and cultural divides, to strengthen the world with peace and respect for each other and the environment. Joy Sun Bear provides wonderful resource for global education for children. It brings diverse culture to the world of our children! I am trying to raise my kids to be aware about the world around them, and Joy Sun Bear helps parents like me by sharing wonderful activities for kids about world cultures. Fabulous resources! Such a creative way to get kids excited about the world! Always such fun and inspiring learning activities! Wonderful, accurate and exciting! 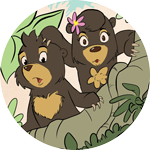 Joy Sun Bear makes multicultural learning with kids both educational and fun! Joy Sun Bear centers around love which is one of the many reasons it’s a fantastic educational platform for families and teachers around the world. It’s such a wonderful resource and brand. I highly recommend it! Joy Sun Bear is an absolute delight! I've followed him via Imagiread and learned all about his journey as a a kind-hearted ambassador for inclusivity and social responsibility. Tackling important topics like self-actualization, making and keeping friends and celebrating culture, this bear is going places and we're thrilled to be along for the ride! This is such a positive and informational site. Love all the creativity! Joy Sun Bear has excellent and creative ways to teach children about multicultural issues. Posts are always full of radiant ideas and positive energy! We love Joy Sun Bear!!!! 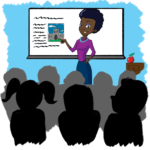 Where else can you find fabulous resources to teach about peace and civic education!! Lovely! A lovely page to open the minds of our children. Educate them in a fun and interesting way. 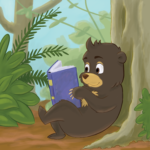 Joy Sun Bear is a visually appealing, interesting website, full of resources for exploring the the world with your little ones. Joy Sun Bear is so committed to a multicultural education filled with diverse books and culturally rich experiences! A fantastic resource for all families dedicated to raising global citizens! A great page and a fun resource for helping kids learn more about the amazing diversity of the world. I love how Joy Sun Bear is used to teach kids a topic that isn't necessarily easy for kids to understand. 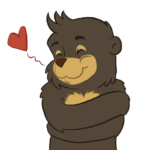 Cute bear = kids more likely to listen /learn. As an elementary educator, I understand the importance of developing global and cultural awareness in our youngest learners. Joy Sun Bear's travel adventures are a fun way to engage kids in learning about the people, places and traditions that create beautiful diversity in our world. Through rich informational text, videos, photographs, recipes, crafts, and coloring pages kids love seeing the world with Joy! Joy Sun Bear is an educational forum that allows teachers to bring the world to their classroom. It has made my job easy on how I can teach these amazingly tough kids about a world that they could never imagine was out there. That's what I love about [their] work. It's bright, colourful and connects with the curriculum which is just perfect. We love Joy Sun Bear! Read the latest news about Joy's magical adventure chapter book series for kids 6-11 years of age. Connect with other parents and educators around the world on our free global community forum. Learn about other cultures through various multicultural books with your children! Explore 10 different countries to learn more about the places Joy has visited with your kids. Includes crafts, recipes, videos and more! 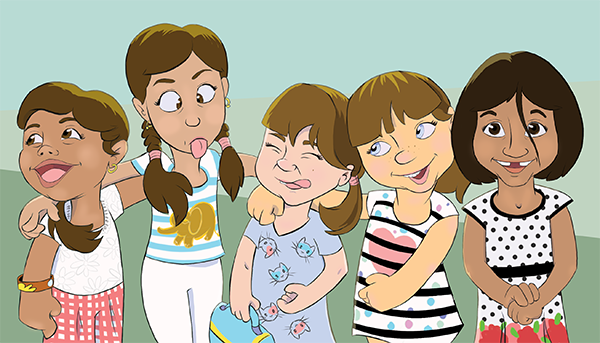 Help children learn more about emotions, how to listen - and talk - about their feelings. Kids and students can discover the world through coloring activities about 10 different countries. See how our resources can be used at home or in the classroom. A list of other global education websites for you to explore.